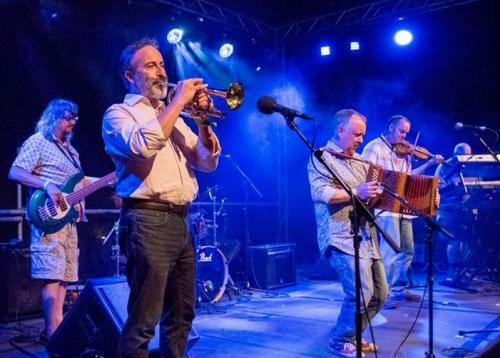 This ceilidh band is very fast gaining a national reputation as one of THE up and coming bright bands whose music,whilst traditionally based,seems to step up the gears as the band becomes larger. However, the band can add an extra musician such as fiddle and/or a guitar to give that extra diversity and fullness to the overall sound. The band's repertoire consists exclusively of traditional material from England, with a particular emphasis on tunes from Lincolnshire and the North West; but also drawing on the traditions of other regions, and many less well known tunes unearthed from various manuscripts.Make sure you hear the whole sample track.